Thanks so much to Scout Press for these copies in return for our honest opinions. 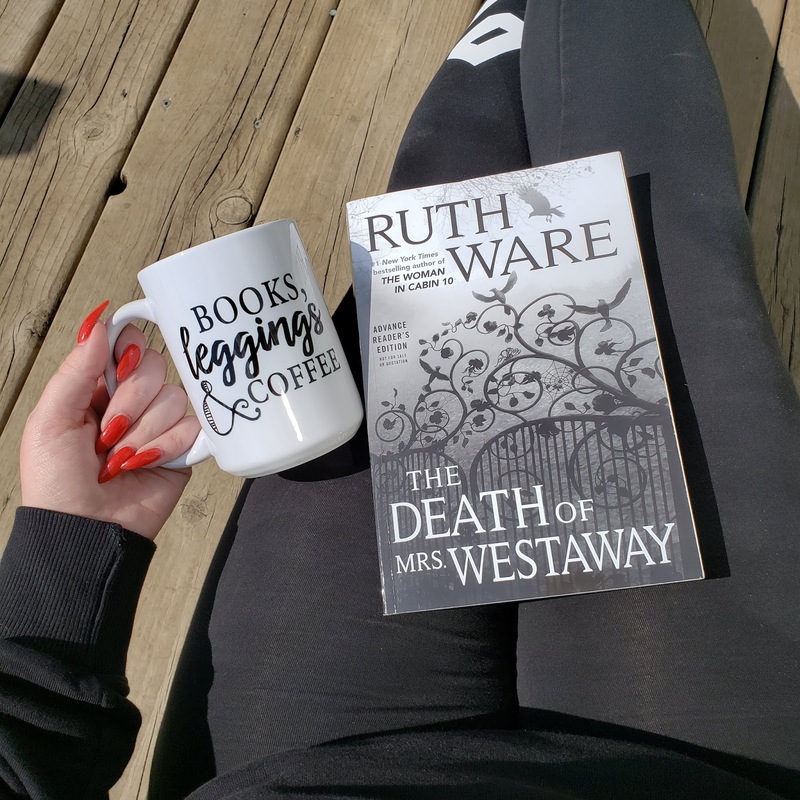 Jessica and I are big fans of Ruth Ware and are so excited to be reviewing her latest work! Continue below to get our full thoughts. The thing with Ruth Ware, is that she builds this perfect atmosphere for the set she's trying to create. In A Dark, Dark Wood, we had that hen party drama that, let's face it, is always fun to read. In The Woman in Cabin 10, we have the ship and tense feeling of someone going overboard at any given moment and then in The Lying Game we get back to a group of women and all the drama that can entail. With The Death of Mrs. Westaway, now we have a setting in an old worn down house where a family that's basically all estranged with each other congregate over the will of their matriarch... who certainly doesn't seem loved by any. Hal thinks there's a case of mistaken identity when she gets a letter about an inheritance she may have from the late Mrs. Westaway. 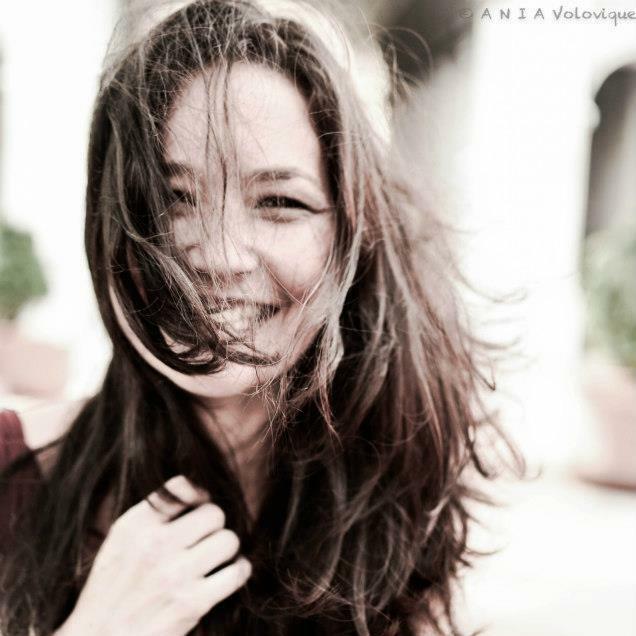 The longer she is around the family and the further she digs in to their history, the more she gets a sense of unease that even her tarot cards can't help figure out. All in all, another top notch story from the amazing Ruth Ware. This didn't quite work for me as well as some of her other books but it certainly doesn't take her off my top women thriller writer's list either. I just can't see that ever happening. I've loved reading Ruth Ware's books and she has become an insta-buy author for me. So, naturally, when I saw she had another coming out I had to grab it! THE DEATH OF MRS. WESTAWAY is more in the psychological suspense genre and I flew through it. Hal, a tarot card reader, has received a letter explaining that she has just been granted a substantial inheritance. After investigating a little further, she quickly realizes that this was sent to her by mistake, but that there is the potential she could still claim the money. The more time Hal spends with the late Mrs. Westaway's family, she begins to feel uneasy about the entire situation. Is this truly a case of mistaken identity? 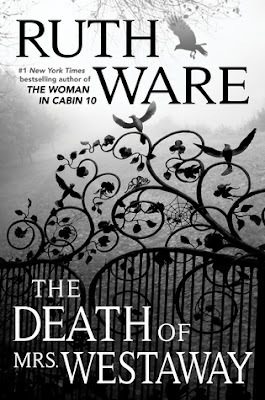 Ruth Ware does a great job with the flow of this book. It's the right pacing that will keep you flipping those pages and will pique your curiosity. I found the tarot card element really interesting, mainly because that's not something I know too much about. While this didn't have the crazy twists in it, I was still invested in Hal and in the story. If you're looking for a twisty thrill ride, then this might not be the right one. However, if you're looking for an eerie and suspenseful read with a sense of unease and dread, then grab this one for the summer! 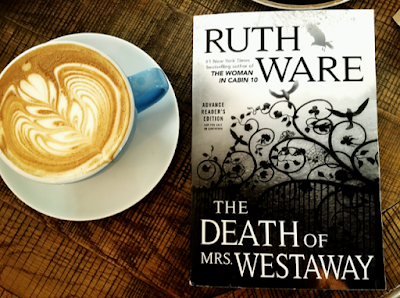 If you're a fan of Ruth Ware then you can't miss this one.